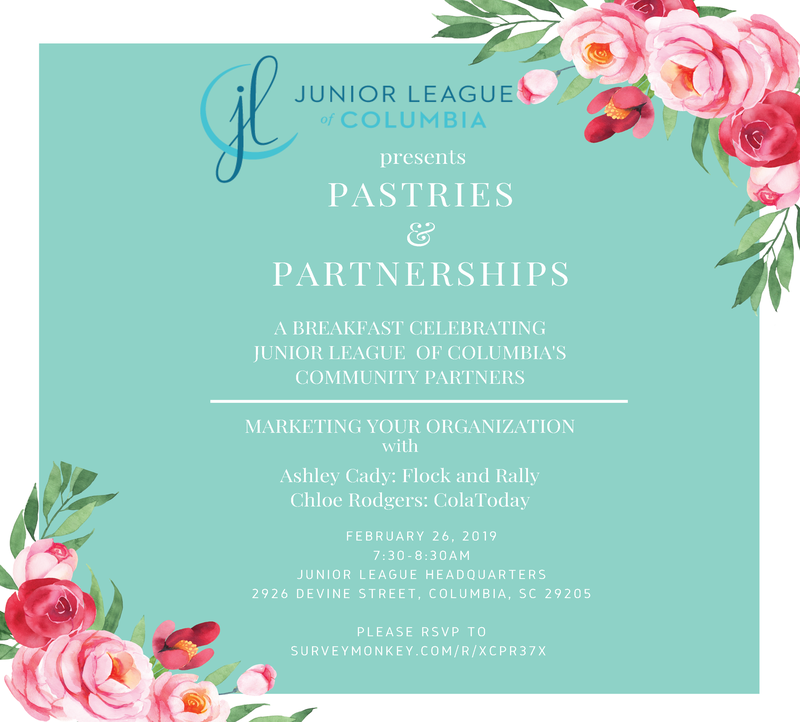 Junior League of Columbia invites you to attend Pastries & Partnerships: a breakfast celebrating our community partners! The educational topic of this breakfast is “Marketing Your Organization,” and will feature Ashley Cady (Flock and Rally) and Chloe Rodgers (ColaToday). We hope to see you there!